Together with other like-minded riders Sergey Borodin and Marat Buzubaev formed the SilkOffRoad motorcycle club back in 2003. The club was born out of a love for motorcycling amongst members and in particular to share riding experiences and travel within Kazakhstan and other Central Asian countries. The club was a great success and was instrumental in promoting much of the Central Asian region as an adventure motorcycling destination for its members. 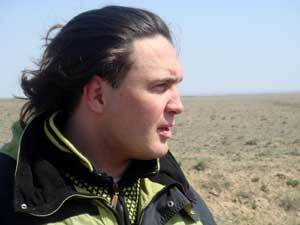 For Sergey and Marat SilkOffRoad was not only a motorcycle club. To them SilkOffRoad Motorcycle Tours was an obvious step forward & has to them been like a child conceived and born in their free and wild minds whilst riding the boundless roads of spacious Kazakhstan and nursed by their experience and uncontrollable desire to travel which they wanted to share with riders from around the world. 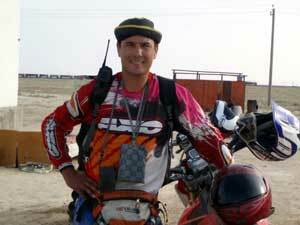 Now SilkOffRoad Motorcycle Tours is a successfully developed company in Central Asia. 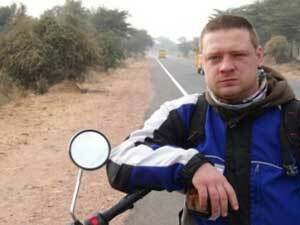 Their vast experience and knowledge of the local region has made the company a leader in the motorcycle tours sector. The company has a fleet of motorcycles and cars as well as employees in several major cities of Central Asia such as Almaty, Tashkent, Dushanbe and Bishkek. SilkOffRoad Motorcycle Tours also cooperates with motorcycling tour operators from other countries, receiving and serving guests from all over the world. SilkOffRoad management have a continuous improvement program resulting in new and interesting motorcycle tours within Central Asia whilst ensuring comfortable accommodation along the tour routes. There is a strong focus on providing motorcycles and support vehicles that are always in quality condition with replacements purchased as required to ensure reliability at all times. In fact. The Founder of the SilkOFFRoad. A good guide-driver. Perfectly oriented to the terrain. Can provide first aid in under any extreme conditions. Spoken English. He was born and grew up in a family of a army officer, thus he has accustomed to the nomad way of life from his childhood. He lived in different places of Russia, Tadjikistan, Kyrgyzia and Kazakhstan. He graduated the Almaty University, Juridical Faculty. He worked at the juridical firm, but soon has understood, that his hot nomad’s soul cannot bear and suffer any more in a comfortable arm-chair in a warm office. He bought a motorcycle .. sat down on the motorcycle .. and not returned to the offic. In fact - Founder of the Silk OFF ROAD. The group leader on the motorcycle. Sometimes a jep guide-driver . He is the creator of all SilkOFFRoad routes. Spoken English. 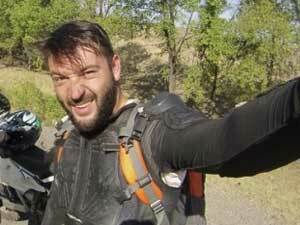 In live he loves to travel on a motorcycle, and explorer new routes. Loves wife, son and daughter. At 12 he understood famous saying that two wheels carries a soul. After trying to find himself at a different types of business - hadn't find himself anywhere except motorbikes and road. Being involved in Central Asia tourism for more than 10 years - easy to hop on the bike and ride until the sunset and over. In fact- Director of Kyrgyz department of Silk OFF ROAD. Moto team-lieder and moto-guide. Feels himself comfortable in any extreme conditions. Spoken English. Anton had a lot of different profession until he went on SilkOffRoad tour as a mechanic. Since then, it remains a mechanic. Higher technical education. And the best auto and motorcycle mechanic in Central Asia. In fact mechanic of SilkOffRoad. Sometimes tour leader on the bike. Good husband and father. Has a son.